Enjoy your stay in Nafplio, Greece at our traditional pension hotel in one of our unique double rooms in the centre of the historic old city of Nafplio and close to the wonderful archaeological sites of the Peloponnese. 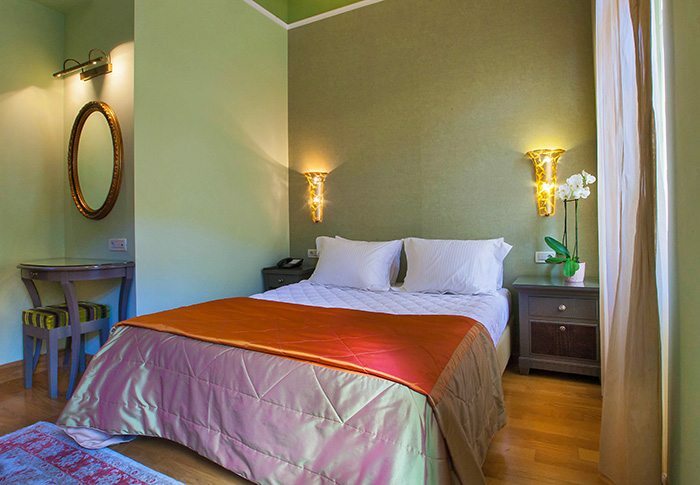 The deluxe room of our guesthouse is located on the 1st floor, with its large windows and balcony which overlooks the historic square Saint Spiridon, the castle of Palamidi and Acronafplia walls make it unique. Softly colored walls, handmade carpets and elegant decoration creates ideal conditions for a quiet and pleasant stay for its visitors. 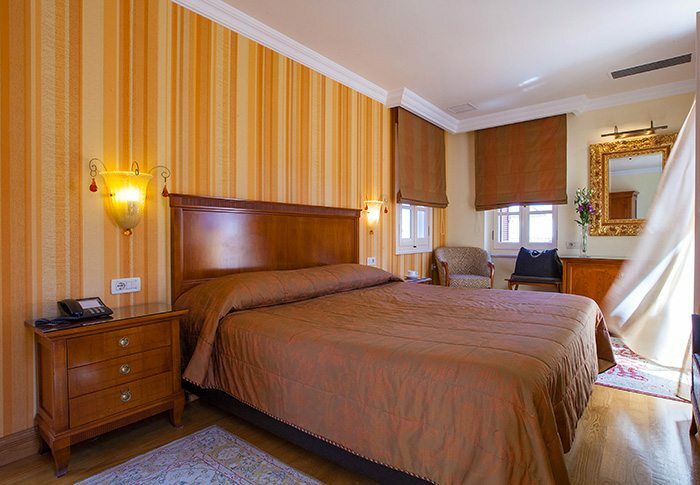 The double Superior rooms are located on the 1st floor and combine elegance with comfort and functionality. Handmade carpets, stunning chandeliers and works of the famous artist, Apostolos Yayannou grace the space and give a special beauty and elegance. All rooms of this type have window and balcony overlooking one of the most picturesque streets of the old town of Nafplion. Located on the 1st floor. Have a neoclassical decor, high quality and elegance. 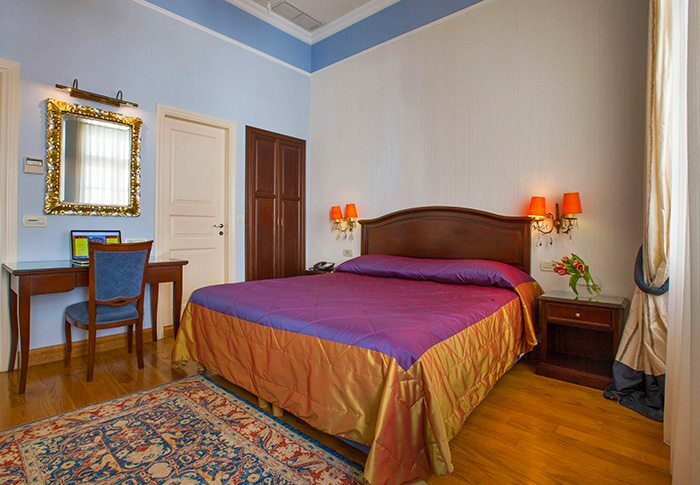 Although it is our smallest of rooms, their functional layout, their furnishings, large windows and balconies with views of either in one of the picturesque streets of the old town or the historic square of Saint Spiridon, ensure a pleasant and comfortable stay for its visitor. from its private terrace ensures you of beautiful views of the walls of Acronafplia and Palamidi Castle.